Scientific feng shui also know as the Pyramid approach to feng shui, links the way we design our spaces with the way we experience our world. We use a tool called a Holon. 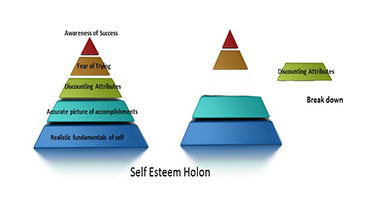 A Holon is a system of systems. We have many that identify where a breakdown actually is with the client so corrections in the physical environment can be made for the right issue. For instance: If a person seeks to move ahead in his or her career but they aren’t communicating it, this tool can usually draw out the “real” issue that prevents a person from moving forward. The example below shows how a person with low self-esteem can be identified through a series of questions without putting her on the spot. Starting from the bottom up: 1.Realistic fundamentals of self. 2. Accurate picture of accomplishments. 3. Attributes. 4. Fear of trying. 5. Awareness of success. As you can see in this example this person is discounting her attributes. So the Pyramid consultant would scan the environment to identify areas that go against her intentions and help her bring into her space symbols and items that support her career accomplishments. Our five senses are the readers of our spaces and if we do not activate each one within these spaces, then we begin to lack the promises that each one of the senses offers in our journey through life. This is our way of communicating feng shui Chi. Our senses work together as a team. If one team member is not present then the end result you seek begins to ravel away. Don’t deny yourself the true experience of touch for example. This goes for both men and women. Who doesn’t love a luxurious chenille robe wrapped around them? Who doesn’t love soft plush pillows on a couch or chair that makes you want to cuddle? I don’t think I know a soul that would say to me “I don’t.” Denying yourself time for nurturing and placing things in your environment that talk to you in that way, well, it’s a short trip to burnout. Each sense plays a role in the process of your personal growth and realizing your intentions. This falls under the science of psychology and human response. Diane Ackerman, Author of The Natural History of the Senses, says that when people experience chronic mild depression during certain times of the year, they could be losing their sense of smell during those times due to an allergy or upper respiratory ailment that visits during this time. Not being able to smell aroma, disconnects us from who we are and we get depressed. Thank about our holiday meals, summer time picnics, perfume or aftershave of our loved one or popcorn in a theater. Another science, neuroplasticity plays a strong role in why feng shui works. It works with the brain changing the way we think and feel. We practice and teach the biological science known as Behavioral Epi-genetics. This is a molecular science that explains the Law of Attraction. It’s been around since the beginning of time but only in the last 20 years has it been discovered as the secret to managing our health, wealth and happiness. Pyramid or more fitting, scientific feng shui, is a new way of looking at the law of attraction and our lives. It is fascinating how much science is at play in feng shui adjustments. 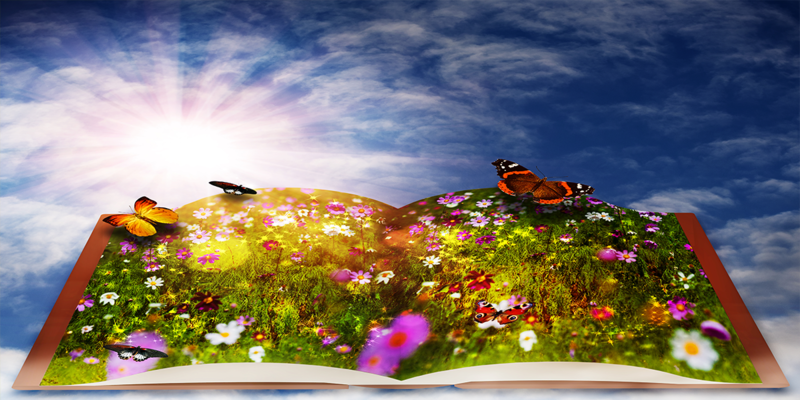 If you would like to learn more about this approach, enroll in our Free Content Library where monthly webinars on the science of feng shui are offered click here. Want to learn more about scientific feng shui a.k.a. as Pyramid Approach? We offer personal coaching or become certified in this field, check out our coaching or a consultation page, or certification program for more information. You can also contact the school and request an interview to answer questions about feng shui in general or any of our courses. I would love to provide more information for you if you provide a contact email. The email will not be broadcast if you do it via our contact form.